This week we will talk about Gladiolas, our flower of the week and an ideal choice for all year round. Gladiolas, or Gladiolus, are also known as the sword lily for the unique and long shape of their leaves. They come in a variety of colours including purple, orange, chartreuse and many more! This beautiful flower can be the symbol of strength and infatuation. 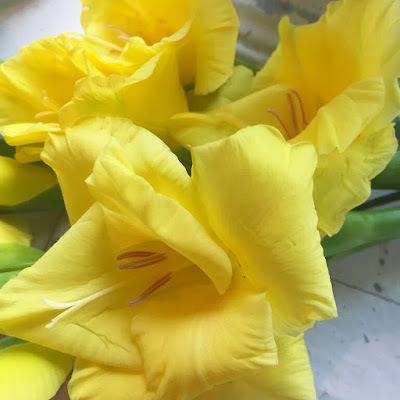 So, if you fell in love at first sight, Gladioli are the perfect flowers for that special person. Visit us and get a free Yellow Gladiola when you walk into our boutique this week!